Who does not know David Beckham, who was born in London, May 2, 1975. He has become one of the references in the world of fashion. Despite the fact that Beckham is a soccer athlete, but the style of fashion can not be underestimated even he was equated with a lot of Hollywood actors in a very unique fashion style. Men with a 183 cm tall with a muscular body is often a role model fashion men in the world. Since young, david beckham has indeed been demonstrated expertise in combining a variety of clothes that become a unique fashion. There are many styles of fashion ever attempted Beckham at various events. 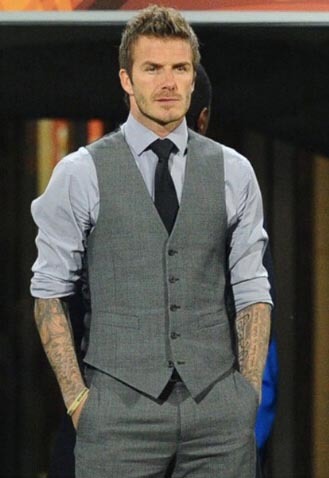 The following we chose the Top 10 David Beckham Fashion Styles Never Forget.